The singer/actor and his wife Jessica Biel attended the star-studded 89th Academy Awards in Los Angeles on Sunday evening (26Feb17), which Justin opened with a rendition of his Trolls track Can’t Stop the Feeling. Before the ceremony kicked off the couple hit the red carpet, where the two discussed their tot Silas’ upcoming second birthday in April (17). "He does not want the diapers changed," Justin told Entertainment Tonight. "He's hitting his terrible twos a little early, so we're hoping he'll get out of them a little early." Jessica backed her husband up by explaining that while the youngster is “doing amazing”, they’re not a fan of how he is acting at the moment. Justin even admitted he sometimes feels defeated around Silas and doesn’t know how to handle the little one’s tantrums, adding: "There's other moments where you're like, ‘This is really hard and I don't know what the hell I'm doing.’"
However, the pair still managed to let their hair down on Sunday (26Feb), with Justin looking dapper in a Tom Ford suit while his wife stunned in a gorgeous gold gown by KaufmanFranco. Justin, 36, was a big fan of the slinky number as he admitted he felt as though he had his own statuette before they had even arrived at the event. The popstar was up for an Oscar for his hit track which he performed on the night; however he missed out to La La Land’s City of Stars which was performed by its stars Emma Stone and Ryan Gosling. 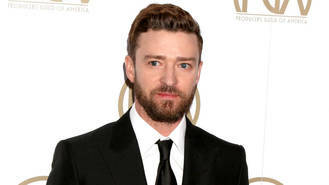 Justin had nothing but praise for his former Mickey Mouse Club co-star Ryan, who also missed out on an accolade when Casey Affleck won Best Actor for Manchester by the Sea. "He is so talented, so gifted. If he does not win tonight, it's in the cards for him. He's just one of those guys,” Justin smiled of Ryan.